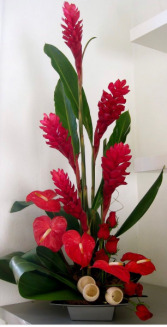 This unique display of Ginger, Anthuriums, roses & tropical greens will blow her away. 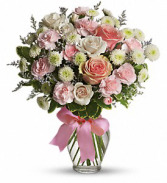 It's elegant and unique that makes a statement she will not soon forget. Place your order today. tropicals are I high demand this year! This over the top explosion of 20 dozen roses mixed with red & white roses will make a once in a lifetime statement that will be unforgettable. 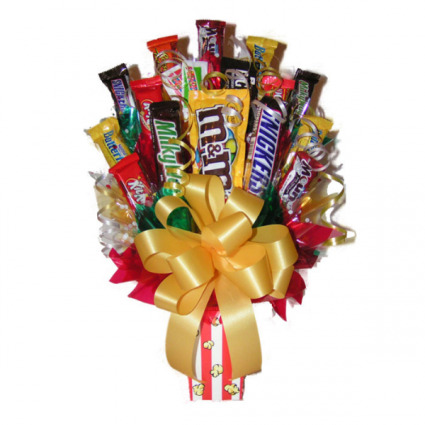 If you want to blow her mind, make a lasting impression & make her year, not just her day, this is the bouquet for her!